It is very critical that we as homeschooling families understand, we can choose the way we want our children to be educated. As self-directed parents/learning coaches, we have chosen an experimental program model that is 100% child centered and parent led. Seeing other families using this as their program is such an empowering feeling. We understant that what may work for one family, may be in opposition for another. We give parents the option and support they need to supplement and change this. While using the traditional public school design, seeds are given a rudimentary block of exercises that seldomly exposes them to any new information. They are still recycled the same information that we as parents learned over 30 years ago, with and exception to a few new schools. These schools have a hefty price tag on tuition and a low diversity rate in the curriculum. We believe that this stagnation in the educational system is why children drop out of school at such an alarming rate. 67% of all grade 4 students cannot read at a proficeint level. According to the National Assessment of Education Progress, of those 67%, 33% reads at just the BASIC level, and 34% cannot achieve reading abilities of the lowest basice level. Here at SOIL we have found power in a teaching community ran by parents as teachers and administrators, led by the imagination of our child centered agency. Understanding this process, is finding a sense of ownership in the learning process, which can be passed down for generations. Our social welfare organization, opens the door for a greater appreciation of the families we serve, by offering stakeholder benefits to stimulate and sustain our social and commercial interests. This hybrid program will safeguard your economic profile and increase social impact using our independent core strategies as homeschooling educators. By the implementation of economic solutions, you are not only engaging in a company geared towards communal financial awareness, but also developing a financial literacy portfolio for social entrepreneurialism. Children learn what they live. And most people that live in this world, are filled up with information that they cannot apply their lives. 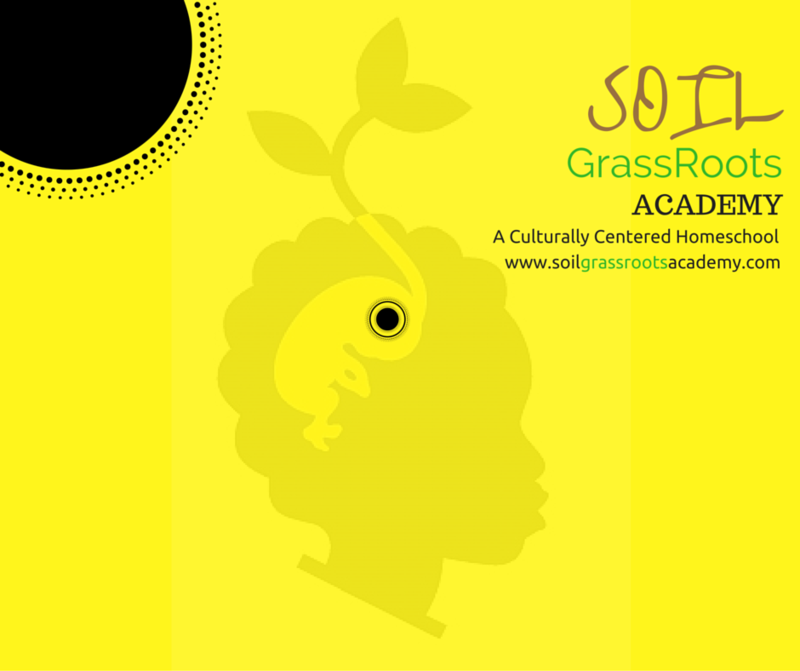 SOIL Grassrots Academy is more than just another curriculum driven platform for homeschooling famiies. We are a total learning and sharing experience. Am I ready to be part of a strategic team? Am I ready to be part of a dynamic community? Am I ready to be part of a results oriented platform? By now you know what you want. And we are here to help you set your homeschool vision in motion. CLICK the link below to immediately make the life shift with us. We know you can DIG it!